Hank Williams' Radio Magic On 'Mother's Best Recordings' A new 15-disc box set reveals the fun side of the country legend, who jokes with his band between songs of loneliness and heartache. Even the antiquated ads on The Complete Mother’s Best Recordings are charming. 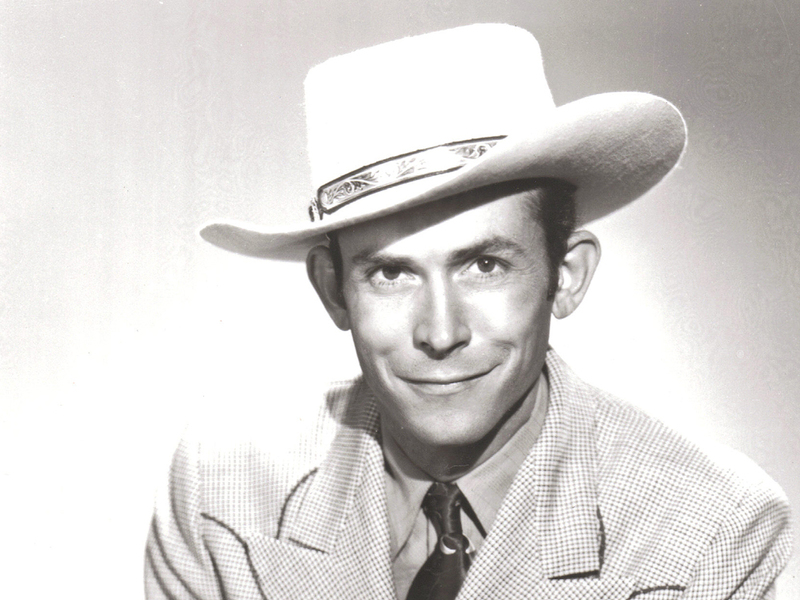 The Complete Mother's Best Recordings compiles Hank Williams' radio performances from 1951, including all the in-between banter and antiquated advertisements. A new box set of previously unreleased recordings by country music legend Hank Williams compiles radio broadcasts from 1951 called The Complete Mother's Best Recordings…Plus! Housed in a replica of a vintage tube radio, the 15 CDs (and one DVD) increase Williams' catalog of music by a remarkable 50 percent. It also challenges some commonly held perceptions of the singer. Though it's well-known that Hank Williams was a charismatic performer, a true superstar, he's also thought of as a tragic figure. The Lovesick Blues Boy was a man who sang songs of heartache and loneliness, who infamously died in the back of a car at age 29 -- a one-dimensional, sepia-toned character who looked and sounded much older than he actually was. But The Complete Mother’s Best Recordings reveals the fun Hank, the Hank who wrote "Hey Good Lookin'," the morning Hank, perhaps, since these recordings are of a series of radio shows that aired at 7:15 a.m. Far from forlorn, Williams sounds jovial, riffing on the ad copy, joking with the band and his wife Audrey, even laughing out loud. Because of his relentless touring schedule, Williams had to pre-tape many of the radio shows for WSM on this box set. He and his band recorded on 16" acetate discs that were only meant to be played a couple of times, then thrown away. In fact, WSM nearly did throw the whole collection away in the late '70s, but Grand Ole Opry photographer Les Leverette rescued them. Done extemporaneously, the recordings have a clear, immediate sound that put Williams in the room with you. You can hear it in "Cold, Cold Heart," which Williams had just released, and which probably had never been heard outside of a studio before. The Complete Mother's Best Recordings shows Hank Williams as someone who loved life and lived to perform, who could speak directly to the radio audience as if he were staring into their eyes. You also get better acquainted with some of the musicians around Hank Williams, like the late steel guitarist Don Helms, whose playing characterized not only Hank Williams' music, but also country music itself. A lot of real estate on The Complete Mother's Best Recordings is taken up by advertising -- after all, Hank Williams was there sell to sell flour, grain and corn. Some time is also taken up by Hank's wife Audrey, whose ambition notoriously outpaced her talent. But even the ads on The Complete Mother's Best Recordings are charming, bringing us ever closer to Hank Williams the man instead of the ghost. There's magic in these radio shows, meant to be ephemeral and now captured for eternity, like a soap bubble preserved in a box. The result is a prismatic view of an iconic performer.